I meant to do this yesterday when it was 10 days to go but the day just disappeared. Bit like the whole of July really. Nice version with RED action points available for printing or viewing at this link. Held at Hibiscus House on Satuday 17 July 2010, supposedly at 6:30pm but some people arrived nearer 7:30pm due to mental exhaustion after figuring out Cold Higham dingbats or because their sausages weren’t ready any earlier. 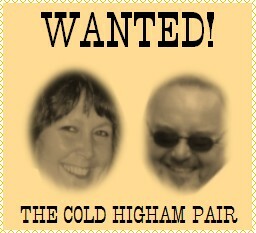 Various reasons were proffered for the absence of the Cold Higham Pair[iv]<. All members to reassure SB that we think she is really lovely and miss her greatly and make arrangements to drag her and AP, kicking and screaming if necessary, to the next meeting. 3. Following an exhausting afternoon at the Cauldroneers’ Fete earlier that same day at which Adrian’s father had insisted on taking over the Make Children Cry With A Scary Face stand, Adrian had felt it necessary to explain to all the parents that remarks that they all needed a good spanking might have been taken out of context and, indeed, it hadn’t done him any harm. They had agreed to let matters, other than either of the Mr Pinckards’ trousers, drop in exchange for being entertained with Bament beverages and hence were far too pissed to contribute meaningfully to discussions of a Paddock nature, especially erections which would be quite out of the question for several evenings. It was noted that action points had indeed been included but the matter of members actually reading the damn things still remained a slight encumbrance to procedures. The Chairman asked whether the action points might be red next time. The Minutes Secretary pointed out that this might make then make them redaction points which could have the effect of making them totally indecipherable but agreed to see what better system of highlighting he could come up with. The Chairman then proceeded to read at great speed those he had spotted in what could be described as an Executive Summary. Mark attempted to show that he had some knowledge of business procedures and mumbled about using a table and having little notes to the right of the minutes before returning to an almost horizontal position on the special outdoor seat Richard had constructed which resulted in an unfortunately frank view up his shorts for those sitting opposite. Kathie and the Minutes Secretary were, however, the only members affected and neither seemed particularly perturbed. All the action points had, he declared with relish, been dealt with - with the exception of one. Wheeling round to his right he peered over his glasses at Sue who peered over hers back. One of those exceptional moments of almost complete silence occurred as even Richard’s sausage seemed short of a sizzle for a split second before “Sue to confirm chapel tables and chairs” boomed from an inch or two below the Chairman’s glasses. This was followed by what can only be described as a wail from Sue who would have probably leapt up and done so immediately had the said chapel not been closed for business at the time. Stationmaster Steve remarked that there had been some special offers of big tents but that the dimensions of 6m by 9m were not as big in the context of what we had already. The Committee were reminded that the Chairman and Maggie had also not exactly dealt with their own action point (which the Chairman had either not mentioned or read so quickly that no-one had noticed it). This concerned the taking of some pictures around the area of scenes or things and then putting them on display with some sort of competition to guess where they were taken. The action point requiring Richard to remind Penny that she shouldn’t spend all week preparing for the event led to Penny making a gesture at the Minutes Secretary with two fingers. This might have resulted in some distress for the Minutes Secretary who had only really been trying to ensure she had a more relaxing time between now and the Big Day but the announcement that another member was getting hungry meant that she had to whizz off to attend to some sausages as the concept of anyone, not even a vegan with nut and pulse and root veg allergy, going hungry on the Annis premises was totally unthinkable. Although these only added up to 125 it was expected that the final tally would be around 160. All was looking good, despite the quintet possibly now being a quartet. Rocky would be likely to be Rocky Matt and another. Amy was happy to do her intro and a spot or two during the event. There might also be one or two late additions to the list of musicians to entertain us but these were not yet certain. Graeme would check that all the stage boards were still around and that Peter hadn’t used them on some project or set fire to them in a recent clear-out. There was great enthusiasm as the saladettes listed what they’d be providing, namely Caesar, carrot & kidney beans, beetroot & yoghurt, corn & black bean salsa and something that the Minutes Secretary has written down but can’t now read which looks like woolly but surely can’t be. A head of lettuce, roasted vegetables, lime-dressed courgettes and watercress & grapefruit were also mentioned although not he was not entirely sure of the context. Maggie would do pasta & tomatoes, rice and yet more courgettes. It seems that there is expected to be an abundance of courgettes this year and the Chairman warned everyone of the coming season of courgette & pest soup which should have been courgette & pesto soup although the former might be a change perhaps. Kathie, Maggie and Sue would play the roles of saladettes with Penny as Chief Saladeer, a word which now seems to have been added to the UK dictionary on some laptops as a sign of eminent respectability, despite her occasional gesturing in the garden. They would invade the Cash & Carry emporium and get revenge on the chap at the entrance who gave them strange looks last year by dressing as Bunny Girls on Thursday 5th August. Stationmaster Steve and Mark seemed to pay more attention to proceedings at that point but only for a brief moment. All the necessary bits and pieces would be bought from the kitty which was now beginning to grow into a positive figure with contributions from members’ ticket sales. The Chairman did urge everyone to ensure that they did have enough tickets as he and the Minutes Secretary had gone to a huge amount of trouble printing and cutting the damn things up. Kathie seemed to think that she had only had 19 but as they were distributed in pairs this was pretty unlikely. She would investigate as it may be that her entrepreneurial (not a word often encountered in the Minutes) son may have nicked one to sell on the Black Market, Ebay or wherever people sold things at highly inflated costs these days. 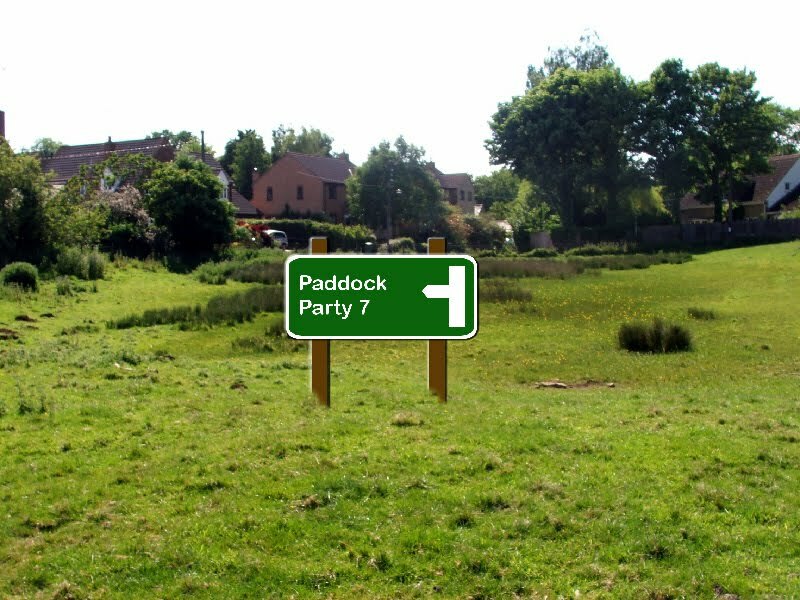 The Committee didn’t agree that he could park his Aston Martin in the paddock that day and he would have to find a convenient verge like everyone else. Penny announced that those who weren’t participating in the shopping trip should be informed in good time so that they could add their requests to the list. The Chairman had ordered 2 barrels on Frog Island ale. One called “Shoemaker” and “The Other One”. Kathie had a series of photos which would remind the Committee of where they’d put tents last year and an effort would be made to reproduce the layout which everyone thought had worked well. If she was unable to unearth those photos then the Minutes Secretary and Adrian had some that they’d taken before guests got in the way. Graeme suddenly realised that he had forgotten to check the scout tent was still there and would do so pdq. Kathie undertook to find some table covers and advise if they needed to acquire any more. Sue would dig out last year’s table displays and do the honours in that respect, probably renewing some of the flowers too. SarahD had boxes of plates and plastic bits and pieces, mostly in extraordinarily bright colours in her loft. It was suggested that this might not be the best place for them as she would be away until the day itself. She agreed to get Stationmaster Steve to deliver them within the following week which Maggie could then keep in the shed with a large sign declaring that they were not to be used for any installation or ‘tidied up’ by Peter in the meantime. Kathie had agreed to do the hamper at the last meeting but The Absent SarahB had indicated to SarahD that she was in the process of doing one. No-one was quite sure what to do about that but unless SarahB had actually put the whole shooting match together it seemed sensible for Kathie to carry on and to include anything that SarahB had accumulated. Presumably they could have a chat about that and take it from there. The hamper, or maybe even hampers now, would be the main raffle prize. There would be donations of bottles which would be second and third prizes and, unless something else came along at the last minute, it was hoped that the prize announcement bit would be nice and short like last year. The Chairman confirmed that the Rugby Group Development Fund trustees had agreed once again to match the funds raised from the event. This was much appreciated and made the whole thing really worthwhile. He would also attempt to get some publicity leaflets and stuff from the W&N Air Ambulance people so that this was available for guests to see where the funds would be going. There then followed some quite exceptional servings of bangers and mash. Being a Paddock Party Committee meeting, of course, these were not just bangers, nor was the mash just mash. This was PPC Bangers & Mash with a range of sausages, all cooked to perfection (even those hurriedly done in the pan by the Minutes Secretary immediately before arrival) and with labels declaring what may or may not be contained within the crisp brown skins. Well, the labels might have been legible had they not been left on the barbecue but it was a good idea nonetheless. The sausages were accompanied by a choice of traditionally squashed and bashed potatoes topped with cheese or not-really-mashed-at-all potatoes with broccoli (I think) and doubtless other interesting flavouring which was a fascinating variation on ‘mash’ and encouraging to all of us who occasionally get fed up with pushing the old masher thing up and down and serve up lumpy mash. Stationmaster Steve, who had been strangely quiet for most of the proceedings was most taken by the potato dishes, however and wanted to share with members how heat and kinetic energy can both burst the walls of the starch grains in the potato, releasing amylose, which traps water, imparting an undesired "gluey" consistency in the same way that starch adds thickness to foods such as gravy and custard. To avoid this, he said, potatoes must not be cooked at a high temperature for too long. Whole or chunked potatoes receive considerably more heat on the outside by the time enough heat penetrates to cook the centre, overcooking the outside; thinly slicing the potatoes allows a consistent amount of heat throughout. Heston Blumenthal recommends cooking the sliced potatoes for 40 minutes at a controlled temperature of 70°C. To avoid the need for temperature control, the sliced potatoes can be boiled until just cooked (10 to 12 minutes), testing constantly. America's Test Kitchen recommends rinsing potatoes halfway through cooking to remove excess amylose, and pressing potatoes through a potato ricer to avoid unnecessary agitation of the starch grains. If a food processor or similar is used for mashing, it will mechanically break the starch grains, releasing amylose and giving an unpleasant gluey consistency. Potatoes are best mashed before adding butter, etc., as the butter or liquid lubricates the lumps of potato, making them more difficult to break up. They are, however, an excellent source of dietary fibre, he added, before taking another mouthful. Both dishes were masterpieces and to have such limited choice at the Annis Emporium was most rare but, in this instance, thoroughly appreciated. Seconds and even thirds were consumed with large helpings of port, approved by Stationmaster Steve as LBV. The evening was also marked by the arrival of a Top Gear Chocolate cake and the rendition of a familiar tune to celebrate the Minutes Secretary’s forthcoming birthday. He agreed to take it away and deliver chunks to members in a while, if there was any left after children had spotted it. Thursday 5 August – all able-bodied men on parade for de-pooing, grass-cutting, wood-chopping and erection and electrical equipment-checking. Will decide then whether to do tents then or Friday. [i] that should be ‘barbie’ as in barbecue. I blame AutoCorrect. You can try and identify where these are in the competition form here where you can add comments or, more simply, just indicate whether you know or not on the form included on this blog (probably just below ▼ or listed in the archive list on the right ►). Entry form for the 'Where in The Village?' competition.